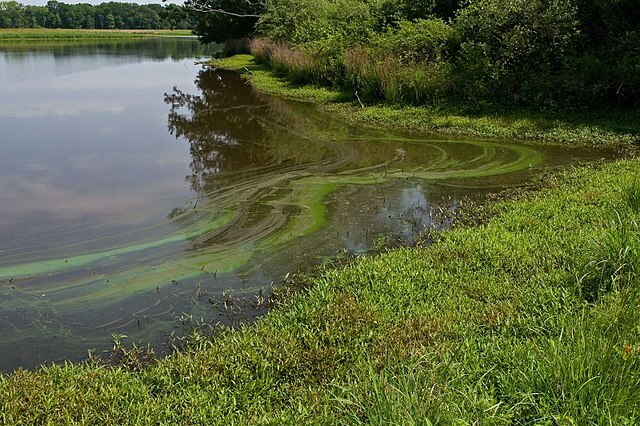 Each year, the pea-soup presence of harmful algae blooms in our lakes, rivers and oceans cost millions in damaged aquatic ecosystems and health impacts on humans and domestic animals. They create dead zones in the water and produce extremely dangerous toxins that can harm or kill people and animals. They hurt industries that depend on clean water and raise treatment costs for drinking water. It’s a wicked water problem and federal, state and local governments spend billions of dollars a year fighting the effects of this nutrient pollution. The George Barley Water Prize is going after phosphorus in a big way—to the tune of a $10 million prize to the researcher or research team that develops a cost-effective process for recovering total phosphorus from natural water bodies in a way that yields clean water and is scalable globally. The competition is sponsored by the Everglades Foundation and the Scotts Miracle-Gro Foundation—a charitable organization with ties to the fertilizer company—along with the Knight Foundation, the Canadian Ministry of the Environment and Climate Change, and the global water technology company, Xylem. Ten competitors have been selected to advance to the pilot stage of the competition, the largest water competition of its kind, and have been testing their technology over a three-month period in Ontario, Canada. Their testing must prove their solution’s ability to remove phosphorus in cold-water climates. Judging begins June 29 and the top four performers in this round of the competition will be rewarded $125,000. In August the grand prize finalists will be announced and four winners from that round will win $200,000 each. Judging is based on cost, phosphorus removal, environmental sustainability, scalability and potential income from byproducts. The judging panel comprises 20 – 25 highly qualified experts with experience across hydrology, economics, civil engineering, biotechnology, wastewater and chemistry and various phosphorus removal technologies, according to documents from the George Barley Water Prize. Pilot stage advancers are BlueXGreen, the University of Idaho’s Clean Water Machine; Wetsus NaFRAd, natural flocculation reversible adsorption, a company from Leeuwarden, Netherlands; Green Water Solutions, Inc. from Wellington, Florida; U.S. Geological Survey Leetown Science Center, Kearneysville USA; ZeroPhos, Nanjing, China; MetaMateria Environmental NanoTechnology, Columbus, Ohio; ESSRE, Richboro, Pennsylvania; Rocky Mountain Scientific’s APR phosphate sponge, Idaho Falls, Idaho; Phosphex, from the University of Waterloo, Rockford, Canada; and ECONSE Water Purification Systems Inc., Toronto, Ontario. According to the McKinsey & Company strategy and corporate finance specialists, the use of prizes to spur innovation is on the rise. A McKinsey study of prizes worth more than $100,000 suggests that the aggregate value of these big awards has more than tripled over the past decade. Their study reports that prizes are most effective when they offer a clear objective, one that is measurable and achievable over a specified period of time; are available to a relatively large population of problem solvers, and involve competitors that are willing to put some skin in the game and bear some of the costs and risks themselves. For example, teams competing for the $10 million Ansari X PRIZE to develop spacecraft capable of going into space and returning safely spent more than $100 million (all told, presumably) in pursuit of the prize. Know of upcoming competitions in the water space we should let our readers know about? Email kc@pureblue.org. We’ll follow up and share the details with the community.